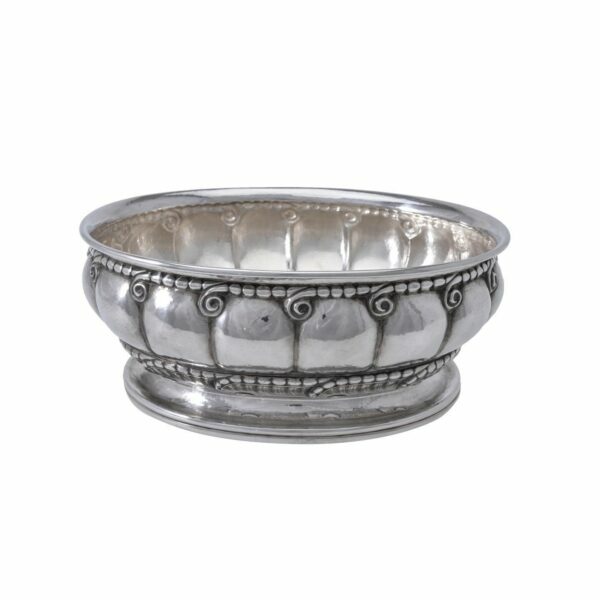 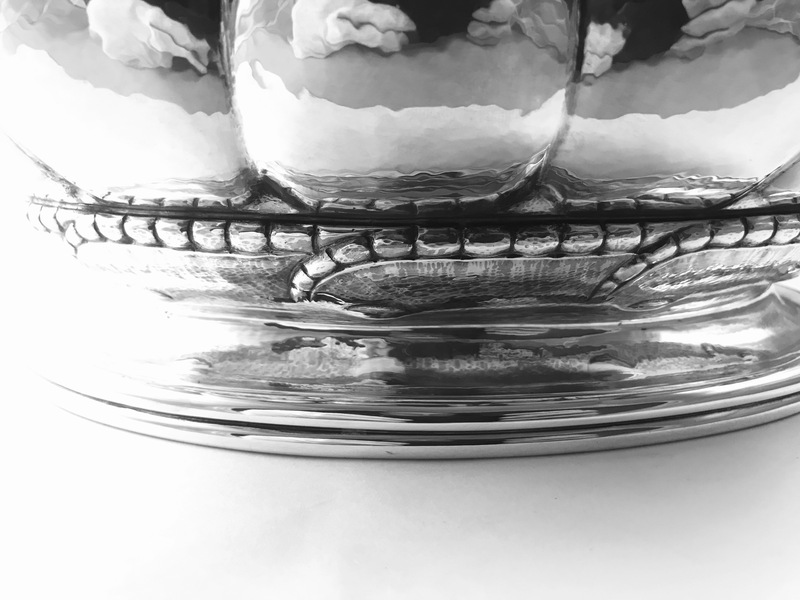 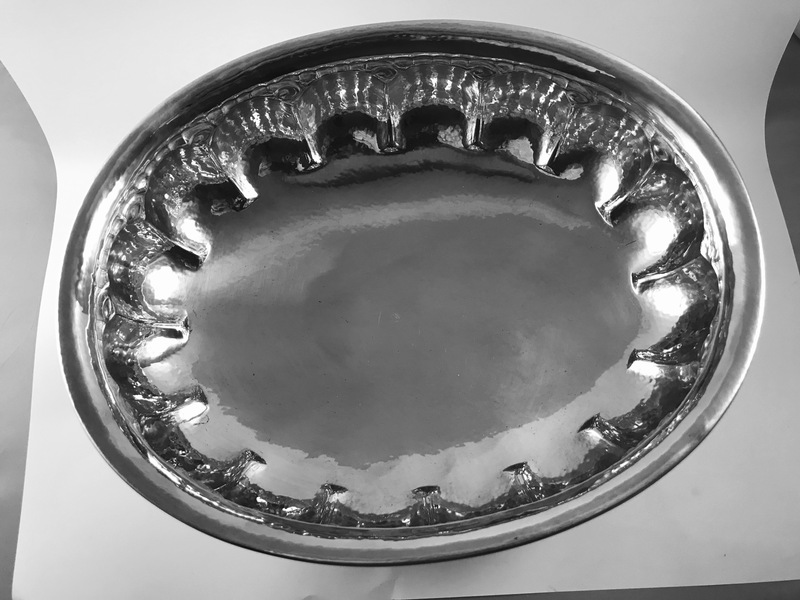 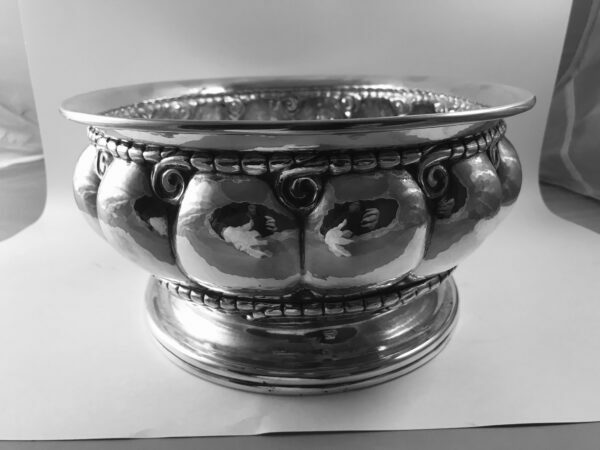 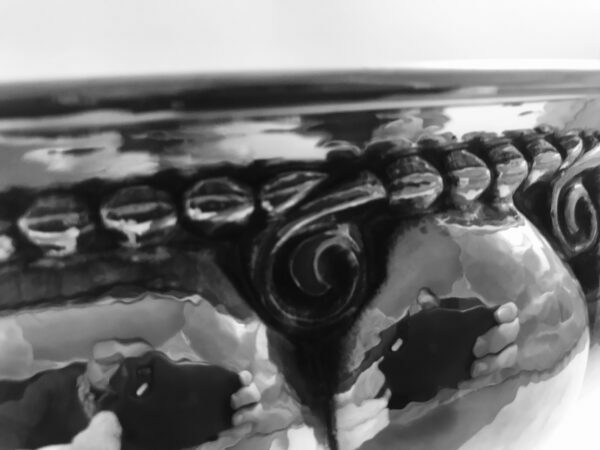 This is a Georg Jensen sterling silver centerpiece bowl, design #189 by Georg Jensen, this design often called “Melon”. 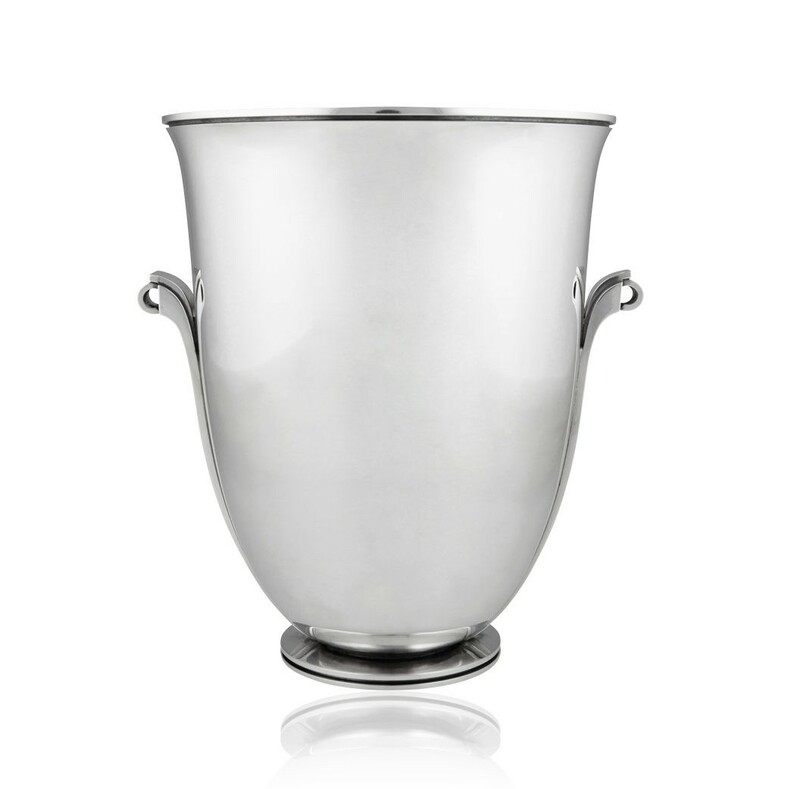 Measures 5 1/4″ in height x 13″ x 10½” (13.5cm x 33cm x 26.6cm). 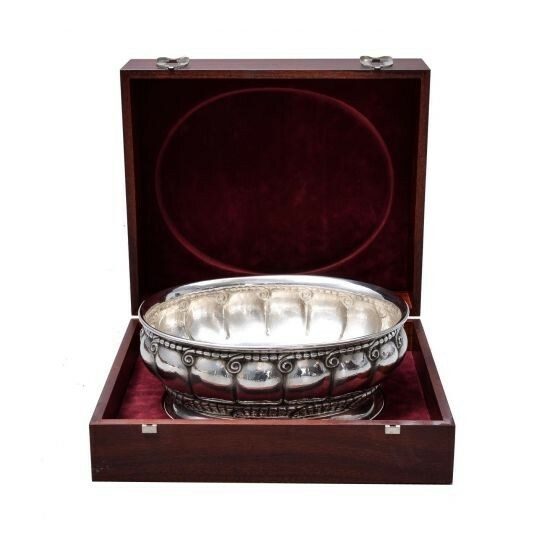 Comes in original Georg Jensen mahogany box. 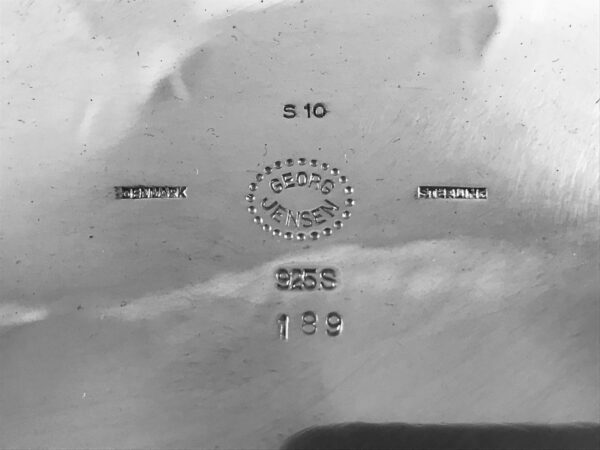 Georg Jensen hallmark, we currently have one with date code S10 = 1992 and one with T10 = 1993.